Scotland’s capital of Edinburgh is a truly beautiful city, steeped in culture and history, but how much about its fascinating history do you know? Here are just a few of our favourite gifts from Edinburgh to the world. Sir Arthur Conan Doyle was born in Edinburgh in 1859, and graduated in medicine from Edinburgh University. 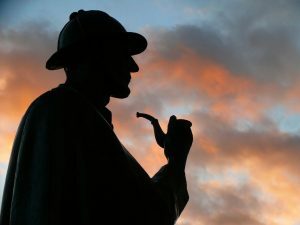 He combined a career in medical research with writing, creating Sherlock Holmes in 1887. In 1991 a statue of the great detective was erected on Picardy Place to commemorate the birthplace of his creator. Known as the father of firefighting, Edinburgh born James Braidwood established the world’s first organised Fire Brigade in 1824. In 1833 he became the first Superintendent of the new London Fire Brigade, with a team of firefighters across 13 stations. Tragically he lost his life in a fire in 1861 when a wall fell on him. In his cluttered Edinburgh laboratory in 1928, bacteriologist Alexander Flemming was clearing a pile of petri dishes in which he had been growing bacteria. He noticed that a mould which had grown on bread appeared to have killed off the harmful bacteria in its dish. This mould was penicillin, which has saved over 100 million lives to date. The first edition of the Encyclopaedia Britannica was produced in Edinburgh in 1768, and was priced sixpence or 8 pence on finer paper. Before immigrating to America, set designer George Gibson lived on the junction of Bread Street and Spittal Street. His daily view of Edinburgh Castle is said to have inspired the design for the Emerald City in the 1939 film The Wizard of Oz. 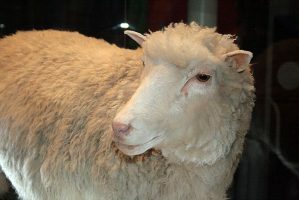 Dolly was the first mammal cloned from an adult somatic cell. In 1996 she was cloned at the Roslin Institute, which is part of the University of Edinburgh. Dolly may not be with us any more but you can still visit her at Edinburgh Museum. Alexander Graham Bell, the creator of the telephone was born and educated in Edinburgh, before moving to Canada in 1870, then on to America. Edinburgh born John Napier was a mathematician and theologian who correctly forecast that the ‘decimal point’ would revolutionise mathematics, and who wrongly predicted the end of the world. His studies of the decimal point lead to the discovery of what we today call logarithms. Although his character was created on a train to London, JK Rowling’s tale of boy wizard Harry Potter was written in the back room of The Elephant House on George IV Bridge. Edinburgh is a wonderful city for food and drink, but not many people know that the Digestive was created here. In 1830 Robert McVitie and his father William opened a provision shop on Rose Street. 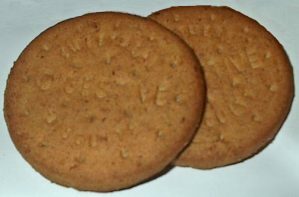 In 1888 the company opened a biscuit factory on Robertson Avenue, Edinburgh, and a few years later came their most famous creation – the digestive biscuit!